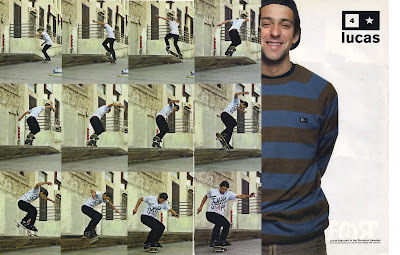 Never understood why Danny Cerezini has been bounced around within the skate industry. From Flip to Blind, then wasn't he on Life Extension for a bit? I just checked, he's no longer on the roster. But damn, he's good. Hard flip front blunt?? Fancy footwork from Shorty's Alumni Sammy Baptista. One of my favorite tricks in Pretty Sweet by Mike Mo Capaldi.